CFB Comox Hangar 7 project will consist of multi-trade work packages. North Island Seniors Housing Foundation hoping to move forward with Housing Complex in Port Hardy. North Island College Campbell River has released tender for interior work on Building 400. 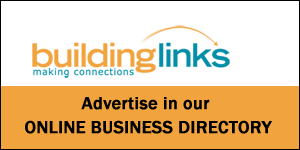 In this week’s issue of Building Links: CFB Comox Hangar 7, North Island College Campbell River expansion, and the North Isl. Seniors Foundation project. Upcoming work on the CFB Comox Hangar 7 project consists of multi-trade work packages of varying sizes and complexity. Interested contractors are encouraged to obtain appropriate clearances. The North Island Seniors Housing Foundation is hoping to move forward to create a Housing Complex in Port Hardy. The Foundation will be looking for building plan proposals and is seeking input. Island West Coast Developments on behalf of North Island College Campbell River, has issued a tender for interior work on the new Aircraft Structures and Maintenance Shop.